I am beyond thrilled that my new apartment has a REAL kitchen! Yes, a REAL kitchen! For those of you who do not understand the rambling enthusiasm for a real kitchen please let me explain... My current kitchen is small...I mean microscopic (yay city living)! Currently, I am unable to bake because my oven does not open all the way without hitting the opposite wall. My kitchen is that small! Now that you have some perspective...my new kitchen is HUGE in comparison and dare I repeat myself...it's a REAL kitchen. I'm so thrilled to be able to cook and bake with my friends because we are going to be able to fit more than 1 person in my kitchen at a time. Now that I am going to have a real kitchen, triple the size of my current kitchen, I am going to need more fabulous things to fill it! 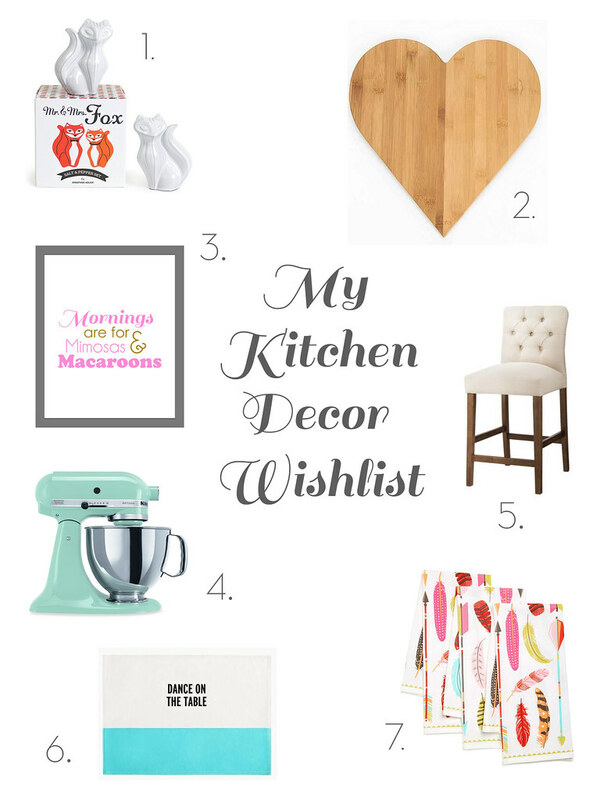 Below is a collection of beautiful and chic items that I am dying to have for my new REAL kitchen.